Every month we’ll be bringing you tips and tricks to help your business thrive. From SEO to content creation, we’ll provide you with a basic toolkit to help digitally develop your business. If you find it useful, we’d love it if you showed your appreciation by sharing with colleagues and friends – thanks! Managing your own SEO can be a challenge at the best of times. Even for those who understand the basics, it can be tricky to keep your strategy focused. If you’re feeling a little bemused, we’ve provided five easy website SEO tips to get you started. You’ll be on your way to SEO success in no time! Which one are you more likely to click on? Meta information is an easy step towards SEO success that is often overlooked. Think about the following when writing your descriptions and titles. Have you described what your page offers? Is there a catchy and welcoming message to encourage users to click? Have you explained what your website offers without the user having to click? Does your page include the keyword? Don’t forget to look at your page URL, meta title and meta description. And, while you’re at it, make sure you’ve included a relevant alt tag on any images. If you use WordPress, try the Yoast SEO plugin – it makes optimising your content a breeze and the handy meta information previews exactly what your content will look like in search engine results. We love their handy traffic light feature that keeps us right every time. Search engines rank sites regularly updated with relevant, engaging content. Regular updates will keep your readers coming back for more and give you something to shout about on your social pages. That doesn’t mean that you can write about anything and everything. Focus your efforts by creating a content strategy. Identify relevant keywords you want to rank for and brainstorm content topics around them. This will let you work out a posting schedule that works for your business, so that fresh content is always just around the corner. We’ve all been there – you pull out our phone to search for something and need an answer quickly, but the site won’t load. You hit the back button and make a mental note to avoid in future. A slow loading website can have huge consequences for your users, and your business may suffer as a result. Not only will you deter customers from returning, but search engines will rank your site lower than one that loads quickly. A faster website will benefit from higher page views, more business enquiries or sales and a higher number of returning customers. Removing or resizing large images. Removing unnecessary Java Script files (this will help with your mobile optimisation too). Using a faster hosting provider if your site is suffering. Reading up on Google’s tips and tricks for further help. More often than not, you’ll find that most of your web traffic comes from mobile. It shouldn’t surprise you, given that nearly 60% of searches are completed from a mobile device. Why does it matter? Well, having a website that is optimised for mobile is key to SEO success. If all the people who visit your site on a mobile device land on your homepage and can’t navigate, get stuck because the menu doesn’t work or have to scroll by incorrectly sized images, they probably won’t stick around. Earlier this year, Google announced that it was introducing mobile-first indexing. In simple terms, this means that sites that are optimised for mobile and follow best practices will be indexed higher in the index than those that aren’t. 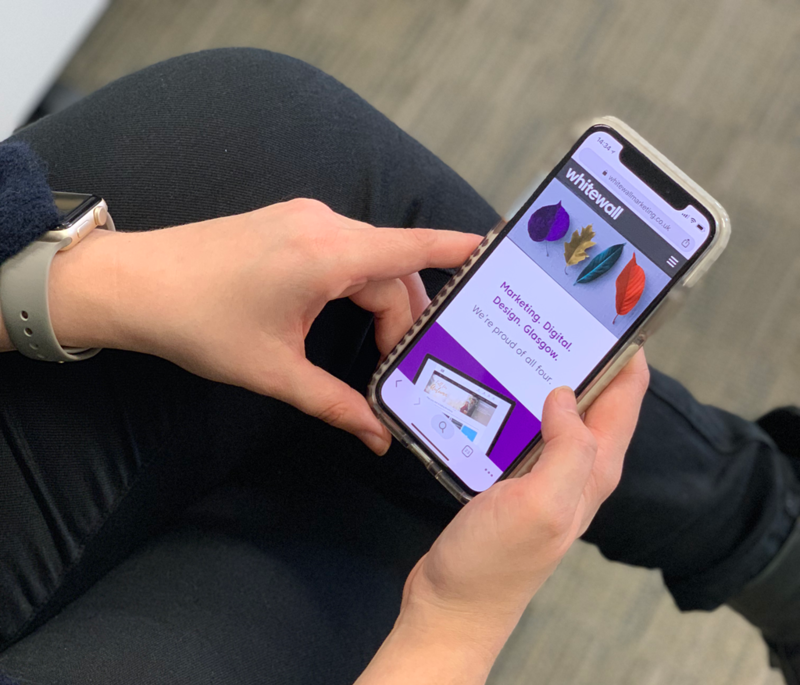 If you’re not sure how your site performs on mobile, try the Google Mobile-Friendly Test which will provide recommendations on how to improve. Make sure the content on your desktop site is the same or very similar to your mobile site. Often you won’t need to do much, but it’s worth auditing your pages to be sure. Check your mobile speed with Google’s handy tool – just as with your desktop site, loading time is key to ranking well and, considering that many users will be using a mobile connection rather than Wi-Fi, it’s important to improve your site speed as much as possible. Search engines offer a wealth of information to help you optimise your site – you’d be silly not to take advantage of their tools and website SEO tips. Make sure you register your website with sites like Google Search Console and Bing Webmaster Tools. Here you can submit site-maps and check for errors so you can resolve them easily. 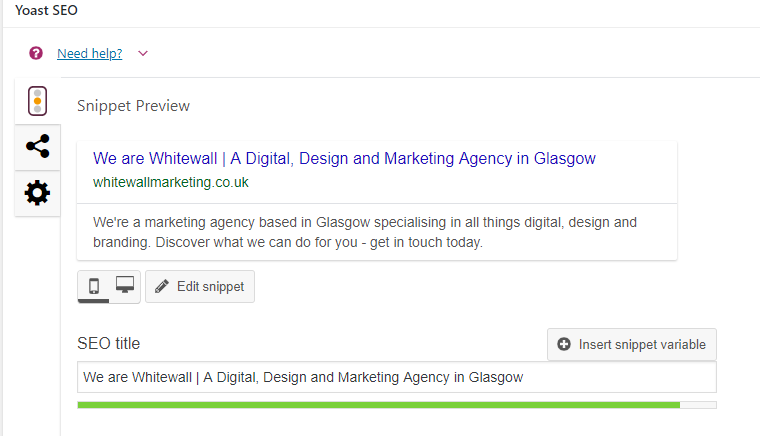 You can also view search queries to help with your content planning and explore incoming and internal links. Setting up the tools require verification which can be done by linking your Analytics platform or uploading a little code to your site. Stuck? Feel free to contact us and we’ll be happy to talk you through it. Looking for next steps? We’ve rounded up our go-to tools, blogs and websites for SEO tips – bookmark these for next time you need a helping hand! https://moz.com – their Whiteboard Fridays are always worth a watch! https://yoast.com – we recommend signing up for their email newsletter. https://www.screamingfrog.co.uk/seo-spider/ – free downloadable software to help crawl all pages of your site. Still feeling a little lost? Drop us a message – we’ll be happy to steer you in the right direction or manage the process for you.